Delegate responsibilities. The best gatherings are a team sport. 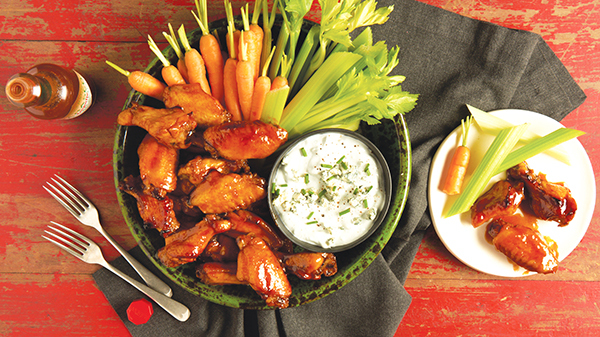 Tackle this recipe for Crispy Baked Wings and let your friends help with snacks, dips, and drinks. In a bowl, combine baking powder, salt, paprika, and black pepper. Shake over both sides of wings. 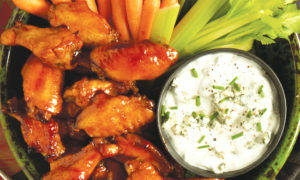 Place seasoned wings on a rack over foil-lined sheet pan. Bake 20 minutes, turn wings over and continue cooking additional 20 minutes in a convection oven or 30 minutes in conventional oven. Cooked wings should reach at least 180° F internal temperature with a crispy texture. To make Chipotle Barbecue Sauce: In a bowl, mix barbecue sauce, Tabasco Chipotle Sauce and lime juice. Alternatively, to make Nashville-Style Wing Sauce: In a bowl, mix Tabasco Sauce, butter, brown sugar, paprika, garlic powder, and salt. Set aside.